Dr. Chris Failing grew up in Hallock, Minnesota, a small town in the Northwest corner of the state, and earned a Bachelor’s Degree in Biology and Chemistry from Minnesota State University in Moorhead in 2010. He attended the University of North Dakota School of Medicine and earned an M.D. in 2014. Chris completed his internship and residency in Pediatrics at the University of Michigan in 2017 and is currently a second year fellow in Pediatric Rheumatology. 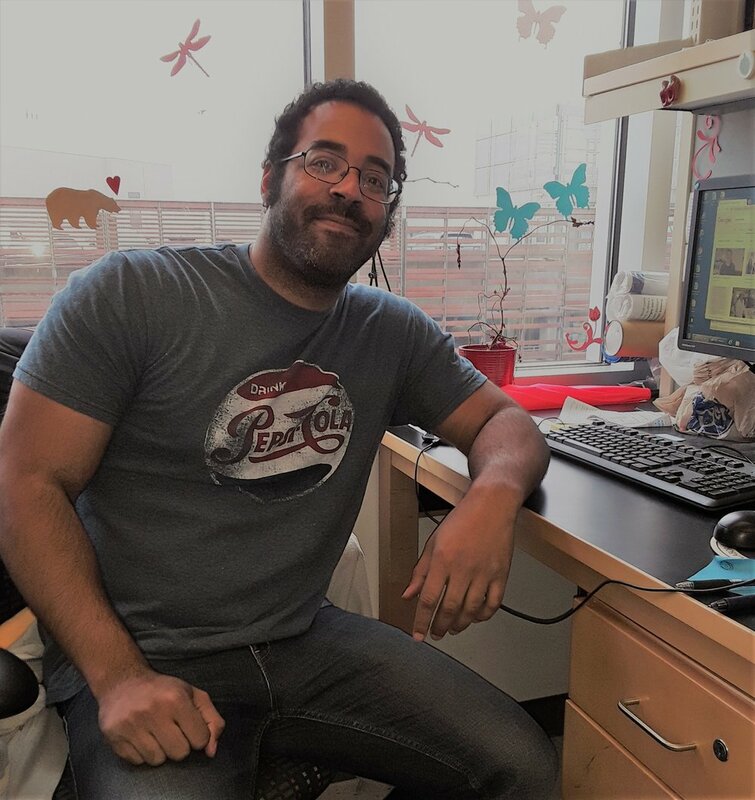 He joined the lab in the fall of 2018. His hobbies include spending time with his wife and 8 month old son, watching college football, reading, and painting. Jennifer Yang is an undergraduate student at the University of Michigan from Springboro, Ohio. She is on the pre-med track and pursuing a Bachelor of Science in both Neuroscience and Psychology. Jennifer joined the lab as a freshman in the Fall of 2016 through the Undergraduate Research Opportunity Program. Molly Shea is originally from Clinton Township, Michigan and is currently a junior majoring in Neuroscience. She joined the lab as a freshman in the UROP program in Fall 2016 and is scheduled to graduate in Spring 2020. Haley Breckenridge graduated from high school and received her Associate's Degree in General Science in the Spring of 2017. She started working with the lab of our collaborator Dr. John Heckenlively as a UROP student in the Fall of 2017 and then joined our lab in Fall of 2018. She will be graduating from the University of Michigan in May 2019 with a Bachelor's in Biology, Health, and Society. Afterwards, she plans on going to graduate school pursuing a degree in public health. Her favorite topics to study in school are biology, health, and literature. When she is not in the lab or doing schoolwork, she can be found with a book or a pizza nearby. Alyssa Harbaugh is a sophomore Biochemistry major at the University of Michigan who is originally from Clarkston, MI. Alyssa joined the lab in the Fall of 2017 through the Undergraduate Research Opportunity Program and has since continued her involvement through the Research Scholars program. She is currently a member of the LSA Honors Program and expects to graduate in Spring 2021. She has been nominated as a FutureBLUE individual, an award presented to 100 freshman students in leadership positions across campus. Outside the lab, Alyssa serves as the Concert Manager of the Women’s Glee Club and the Program Director of Heal-Move-Shift, a nonprofit that educates underrepresented individuals about mental, physical, and cardiovascular health. In case you are wondering…she is a second cousin once removed of the more famous Harbaugh on campus. Lucien van der Vlugt joined the lab as a post-doctoral fellow in January 2016. She grew up in Ter Aar, The Netherlands, and earned her Master's degree in Biomedical Sciences from the University of Leiden, The Netherlands in Dec. 2008. She performed her Ph.D. thesis work under the supervision of Prof. Dr. Maria Yazdanbakhsh and Dr. Hermelijn Smits in the Dept. of Parasitology at the University of Leiden. Her thesis research project was part of a program aimed at understanding the interactions between the host and helminth worms, and their subsequent role in protection from allergic disorders. 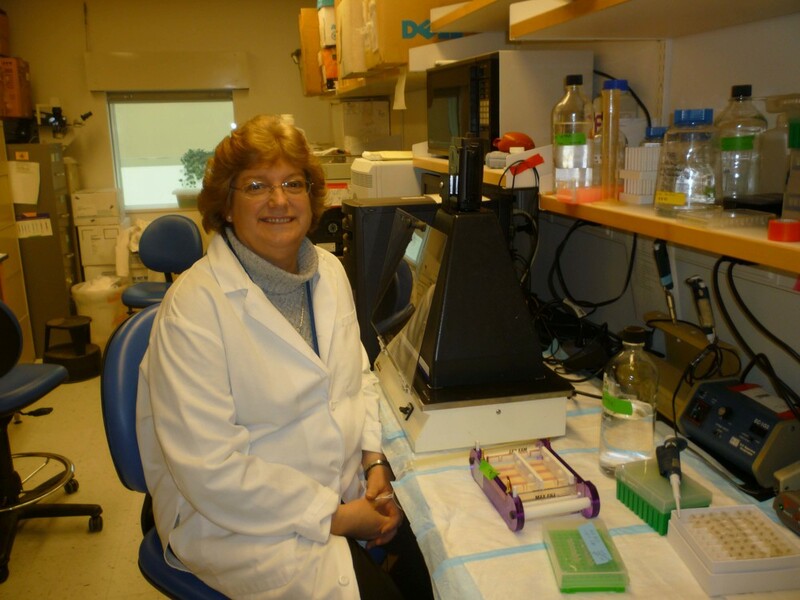 Her work focused primarily on understanding the induction of IL-10-producing regulatory B cells in worm infected mice and humans. After completing her thesis research, Lucien joined the lab of Prof. Dr. Peter Hiemstra in the Dept. of Pulmonology at the Leiden University Medical Center where she investigated how farm living can protect against childhood asthma. She studied the effects of farm dust on airway epithelial cell functions. Her post-doctoral fellowship research in the Lundy Lab was focused on studying B cell-derived killer exosomes in mice. The fellowship concluded in Dec. 2017 and she is now working as a Medical Liaison for AstraZeneca in the Netherlands. Sophina Taitano joined the lab in 2015 as a predoctoral candidate in the UM Graduate Training Program in Immunology. She grew up in Yigo, Guam and earned her bachelor's degree in Forensic Science from Chaminade University in Honolulu, Hawaii in 2013. While working in the lab, she was the recipient of a Rackham Merit Fellowship and was supported by a Career Development Award from the American Association of Immunologists. She successfully defended her thesis in April 2018 and is currently a post-doctoral fellow at the University of Colorado in Denver. Matt Klinker worked as a predoctoral student under the mentorship of Dr. Lundy and that of Dr. David Fox from 2009-2013. He earned his Ph.D. from the Graduate Immunology Training Program of the Rackham Graduate School in July of 2013. The title of his thesis was: "Killer B cells: regulation of the growth and function of Fas ligand-expressing B lymphocytes". Matt is a native of Milwaukee, Wisconsin and earned two bachelors degrees from Marquette University in Psychology and Biological Sciences. Matt was a Rackham Merit Fellow and the recipient of the 2012 Herman and Dorothy Miller Innovative Immunology Fellowship awarded annually to a top graduate student in the UM Graduate Program in Immunology. He is currently working as a staff member in the Regulatory Branch of the US Food and Drug Administration in Bethesda, Maryland. Tammi Reed was technician and lab manager from 2007-2012. A native of Port Huron, Michigan, she earned a bachelors degree in Biochemistry from Michigan State University, and worked at the Mayo Foundation in Rochester, Minnesota for several years before joining the Lundy lab. She is currently working in the lab of Michelle Kahlenberg in the Rheumatology Division of the University of Michigan Medical School. Ryan Gentil was an undergraduate student majoring in Microbiology who worked the lab from 2015-2017. He is originally from Taylor, Michigan and is now pursuing a Masters Degree in Public Health at Columbia University in New York City. Brian Alzua graduated with his Bachelors in Biochemistry in the Spring of 2014. He joined the lab as a freshman in the Fall of 2010 as part of the Undergraduate Research Opportunity Program and stayed through his senior year. He is a native of New Providence, New Jersey and is currently a lab technician at American Preclinical Services in Minneapolis, Minnesota. Brian was awarded a 2012 Summer Internship to work in the lab from the UM UROP program. Vinny Lizzio graduated with a degree in Biochemistry from the University of Michigan in the spring of 2013. As an undergraduate student, he joined the lab in the Fall of 2011. He is originally from Canton, Michigan and went on to earn a medical degree at the Wayne State University School of Medicine. He is currently a medical resident working in the Detroit Area. Vinny was awarded a 2012 Summer Internship Fellowship to work in the lab from the UM Biochemistry Program. Campbell Shaw joined the lab in the Fall of 2007 as a freshman in the Undergraduate Research Opportunity Program (UROP). He worked in the lab every semester until his graduation in December 2011 with dual degrees in both Chemical Engineering and Mathematics. Campbell is a native of Ann Arbor and is currently working for a computer analytics firm in the New York City area. Amanda Fobare joined the laboratory in the Fall of 2008 as a sophomore in the Undergraduate Research Opportunity Program (UROP). She worked in the lab for three consecutive years before graduating with a Bachelor of Science degree in Immunology and Microbiology. Amanda is a native of Kalamazoo, Michigan and went on to pursue a medical degree at Boston University Medical School. She is currently working in Pembroke, Massachusetts as a PTA. Lauren Wooley was an undergraduate student in the lab from 2005-2007. Upon graduation in 2007, she attended the University of Maryland School of Medicine where she earned recognition and was elected to the Alpha Omega Alpha Honors Medical Society. Lauren graduated with her M.D. in 2011 and has recently completed her residency at the University of California, San Francisco. She is now practicing in Emergency Medicine in the San Francisco Bay area.